A must see for anyone who loves THE PRISONER, the fabulous television series of the late 1960s by Patrick McGoohan and George Markstein. 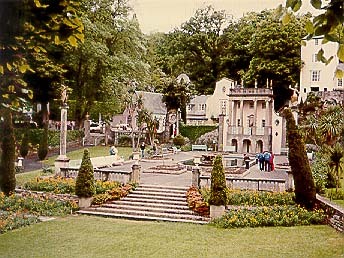 Portmeirion is a North Wales resort holiday village built in a cosmopolitan mediterranean style by renowned architect Sir Clough Williams-Ellis. One can rent a cottage or stay in the hotel. The round house that was used as a stand-in for Number 6's residence in the series is now a shop devoted to PRISONER memorabilia. 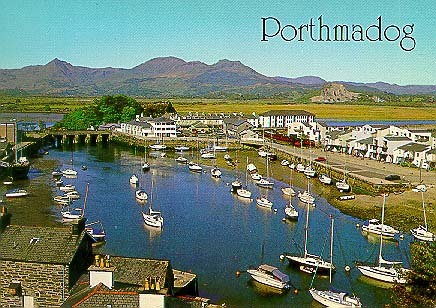 The nearby village of Porthmadog offers excellent accommodation.